Ancient Village Lifts Some of Stonehenge's Mystery A settlement once home to hundreds has been unearthed near England's Stonehenge. 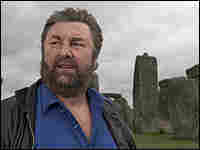 Archaeologists think the builders of the huge stone circle may have lived in the village. It dates to the same time period. 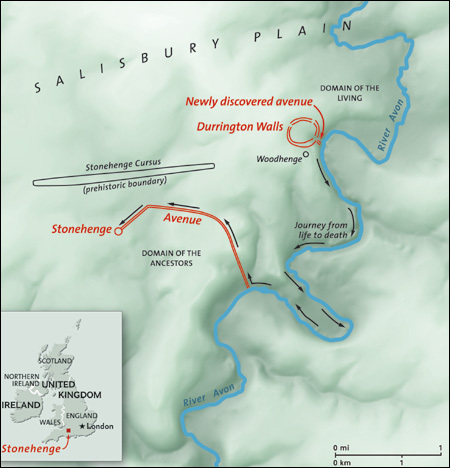 Map showing the location of Durrington Walls and Stonehenge in England's Salisbury Plain. One of the most enduring and mysterious monuments in the British Isles is Stonehenge, a circle of some 30 huge stones located 100 miles southwest of London. Until recently, very little was known about the site, except that it was built about 4,500 years ago, at the time of the Egyptian pyramids. Now, new evidence has made Stonehenge's origins much clearer. Funded by the National Geographic Society, archaeologists have uncovered a nearby ancient settlement that once housed hundreds of people — possibly the builders of Stonehenge. The houses date to 2,600 - 2,500 B.C., the same period Stonehenge was built. "In what were houses, we have excavated the outlines on the floors of box beds and wooden dressers or cupboards," said archaeologist Mike Parker Pearson of Sheffield University. The excavations lend support to a theory that Stonehenge was part of a much larger religious complex used for funerary ritual, including a similar nearby circle, or "henge," called Durrington Walls. 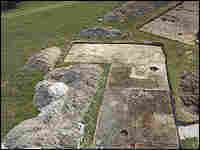 Durrington Walls, the world's largest known henge, consists of concentric rings of huge timber posts, with a bank outside and a ditch inside the rings. An avenue from Durrington Walls leads to a cliff over a river. "My guess is that they were throwing ashes, human bones and perhaps even whole bodies into the water, a practice seen in other river settings," Pearson said.